How many of you have ever played on Lag's original Just Test server? 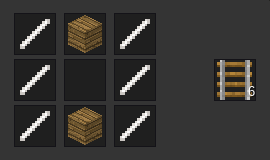 Steel rods have been added as a craft item. 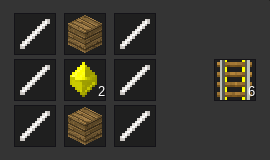 One steel ingot within the crafting grid will output four steel rods (akin to wood for sticks). Thanks to v-rob for the texture, which I borrowed from the unicraft mod. I would like to get some feedback about the situation with digger. This player has amassed numerous land claims in and around spawntown. Most of digger's properties consist of only a building shell a with uniform motif that is devoid of any functional purpose. While there is no prohibition on large-scale land claims, even those that are non-contiguous like these, it does raise some concerns about the effectiveness of the Anti-Squatter's Ordinance. The properties highlighted in yellow were previously abandoned and reclaimed by the City with the intention of helping new players settle closer to spawn. Instead, they were all acquired by digger. The properties highlighted in red had pre-existing buildings that were unprotected. They were also acquired by digger and subsequently demolished. Spawntown has become stagnant with empty and/or derelict buildings along every street. New players are being forced to the fringes of the city, and there is effectively no additional development taking place within 400 meters of spawn. As the situation with digger reveals, additional measures are clearly needed to help revitalize this region of town. I would be open to your suggestions. Upgrade squatters clause §3.127a : if ya build junk, it goes to the triash! I know that pyramid near my property. It was just a skeleton when I came and it was still so for months until he finished it so it looks like maybe he does work on his builds, just slowly. Maybe he's not good with furniture and stuff so he just leaves empty shells. Once I chased him for fun and he ran into his building south from Holiday Dr., by Suckers' possession. I assumed it was his home but now I recall I didn't even see chests in there which is pretty awkward. It's spacious, it's empty inside and yeah, it's garbage. EDIT: Just as I thought, he also has a skeleton build on Broadmoor Ave, near the crossing with Valley Road. That build is older than me on this server and I've never seen it finished or even change a little. sorcerykid wrote: I would like to get some feedback about the situation with digger. This player has amassed numerous land claims in and around spawntown. This player has eventually taken a few tiny plots (mostly 1x1 or 1x2 protection blocks). This player also did it slowly and gradually during March-June without any complaints. sorcerykid wrote: Most of digger's properties consist of only a building shell a with uniform motif that is devoid of any functional purpose. Digger is a lousy architect but a proficient builder therefore he should not be judged for the lack of imagination. Digger also lacks time and resources to build everything at once. By the way, there are lots of really ugly buildings (not built by Digger) in and around spawntown and nobody really cares. 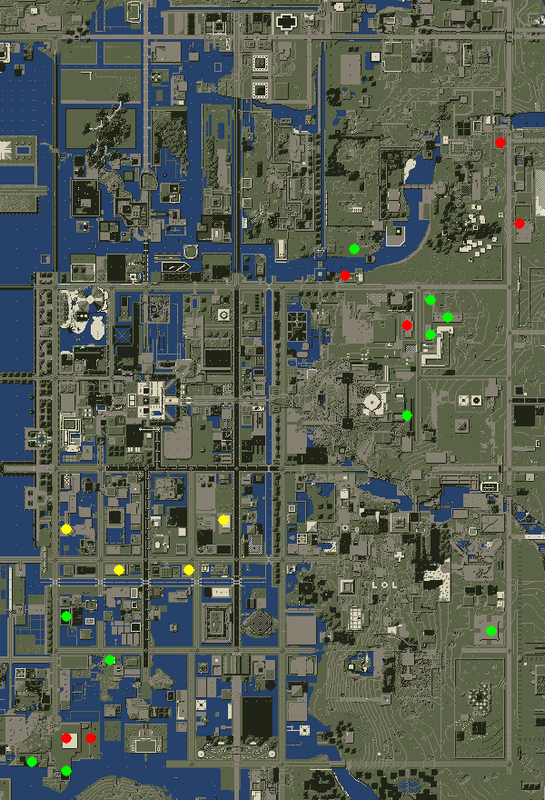 sorcerykid wrote: The properties highlighted in yellow were previously abandoned and reclaimed by the City with the intention of helping new players settle closer to spawn. Instead, they were all acquired by digger. Well, I guess that I was the only new player who wanted to get plots near the spawn. As I said above I had not claimed all the plots at once as I had always lacked mese. sorcerykid wrote: The properties highlighted in red had pre-existing buildings that were unprotected. They were also acquired by digger and subsequently demolished. Since they were unprotected, they were usually partially or mostly destroyed. I can swear that I have not demolished anything valuable. sorcerykid wrote: Spawntown has become stagnant with empty and/or derelict buildings along every street. New players are being forced to the fringes of the city, and there is effectively no additional development taking place within 400 meters of spawn. As the situation with digger reveals, additional measures are clearly needed to help revitalize this region of town. I would be open to your suggestions. Some Android players are still reporting a gray screen when they connect using the Multicraft client. Can anyone confirm this and post a screenshot? I thought carts were at issue, but apparently it is something else. sorcerykid wrote: Some Android players are still reporting a gray screen when they connect using the Multicraft client. Can anyone confirm this and post a screenshot? I thought carts were at issue, but apparently it is something else. Multicraft have own bugs, and glitches. It's just more lagy version of Minetest. I fixed the lingering bug with the itemframes mod. After several hours of refactoring and testing, it should be much more stable and secure. I also took this opportunity to add a Showcase, to complement the existing the Portrait and Pedestal. Now you can display your items in a professional steel-framed glass enclosure, much like you see in the big city stores. Here is AspireMint's ice cream stand, upgraded! To craft your own Showcase, just surround one glass with eight steel rods. These changes will go live tonight after the normally scheduled server restart! @up: Afaik, you can do the same with pedestals by just placing a glass node on top. iisu wrote: @up: Afaik, you can do the same with pedestals by just placing a glass node on top. 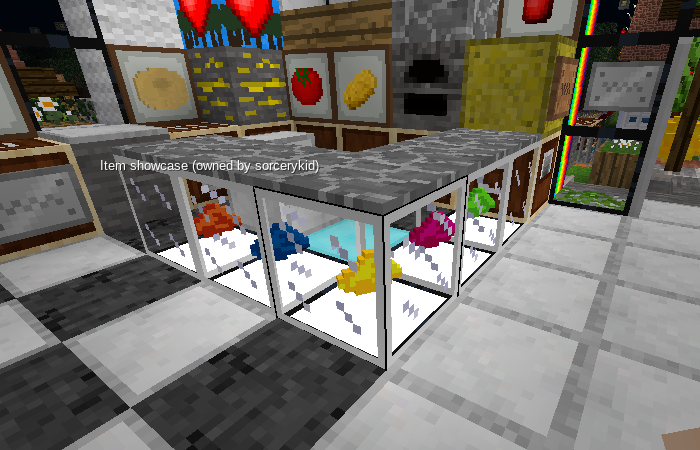 The glass texture is different than the texture for the showcase (which is a solid, white frame with all faces drawtype). 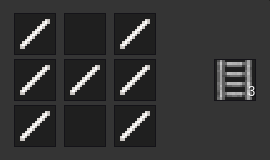 The other method also doesn't allow for glow boxes or any other full height nodes to be placed beneath the item like in the picture. 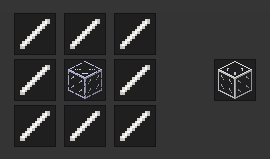 Copper rails were removed in the recent update to boost_carts mod, resulting in "unknown nodes". They should now be correctly aliased. Thanks to AspireMint and Arisha_L for the heads up. Sorry about the mixup! I just completed work on a fully-featured chat history viewer for JT2. And it is ready to be deployed tonight! 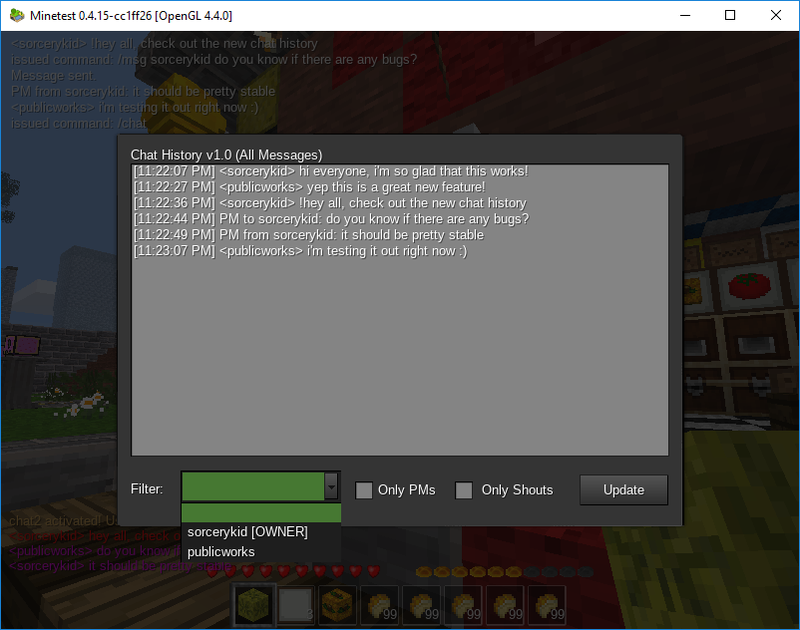 With the /chat command, you can view the entire chat history (up to 100 messages) or you can filter messages by a specific player as well as by PM or shout. You can also copy the output text directly to the clipboard. With the /chat [search_phrase] command, you can search for messages containing only a specific phrase in addition to the existing filters. For more refined queries, DOS-like wildcards are supported: ? matches a single character, + matches one or more characters, and * matches any number of characters. Best of all, since the messages are stored server-side, it is possible to view chat history that occurred prior to logging in, including offline private messages. No more wading through pages of text just to catch up on any important discussions while you were away! Wow! I thought you meant you added a search option on the chat logs available on the website when you came to announce it in the game. I don't know why we need in-game chat logs especially since we have the logs available on the website but still big props for you for this mod. I wanted to ask about it when you added the notify option to the mailboxes but I waited for somebody to gift me anything to one of my mailboxes while I'm online to see how those notifications work in first place (and I still have never seen such notification): can you make a notification appear when I log in and something has been put in my mailbox when I was offline? I don't know why we need in-game chat logs especially since we have the logs available on the website but still big props for you for this mod. Thanks! The primary impetus for the tool was to aid moderation and administration. For example, copying text into a translator is impossible given the existing chat interface. On a multi-lingual server like JT2, however, this is near essential. Also, the ability to search and filter text will be beneficial for assisting players, investigating abuse, and other responsibilities. can you make a notification appear when I log in and something has been put in my mailbox when I was offline? You should receive a notification in chat, if you are logged in. But perhaps I will add a reminder as well as a sound effect. sorcerykid wrote: The primary impetus for the tool was to aid moderation and administration. For example, copying text into a translator is impossible given the existing chat interface. On a multi-lingual server like JT2, however, this is near essential. [...], investigating abuse, and other responsibilities. The same could be done with the chat logs already available on your website and a search option to those logs would most likely be easier for you to implement. This is a valid point though. sorcerykid wrote: You should receive a notification in chat, if you are logged in. But perhaps I will add a reminder as well as a sound effect. That's how I think it works though I haven't had a chance to confirm it yet. What I mean is when I'm offline, it would be nice if the notification waited for me to log in. Reminders once you've already seen a notification would be confusing though. You wouldn't know if you got a new delivery or if it's just a reminder. A sound effect sounds nice but I think just putting the notification in chat2 would do. 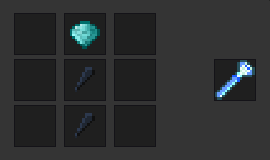 I also took this opportunity to change the appearance of the Protection Wand, so it actually looks like a stick with a mese crystal. 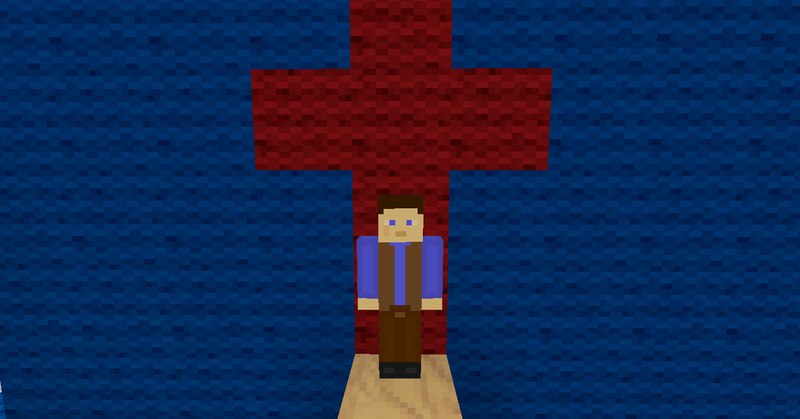 This texture was borrowed from the magic_wand mod. The former texture is now used for the Teleporter Staff above (yeah, it's a bit confusing at first). Using the the Teleporter Staff is easy. Just wield the item like any tool and left-click (or tap on a mobile device). 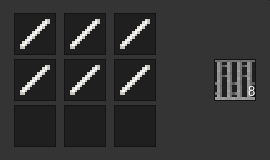 A formspec will appear with a drop-down list of players sorted by their relative distance from you, as well as a checkbox to invert the operation (teleport the player to you). The player can accept or reject your request within a 60 second timeframe by issuing a /tpy or /tpn command accordingly. The maximum range between players is still 1000m. This is another step in my efforts to prevent misuse of teleportation, particularly when it undermines the goal of survival (much like when I limited the range of the /spawn command a few months ago). For the same reason, I will also be revamping the teleporter pads this week. Awesome, SK! How about you add a feature that alerts players when mentioned in chat? Perhaps, but PMs are not included in the chat logs. Also those archives have a 20-hour turnaround (since they are generated mid-day). So there really is no comparison with the realtime benefits of the in-game Chat History. For that kind of functionality, the mailbox mod would need to maintain a state table with associated logic for storage and retrieval. It's doable, but a pretty substantial undertaking. If I have time, I'll work on that down the road. Woohoo! Finally we're getting rid of those ugly commands. iisu wrote: Woohoo! Finally we're getting rid of those ugly commands. Just close your eyes, walk a few steps and open them. See, you're in a different position. In a blink of an eye, quite literally. Practice this for longer distances.